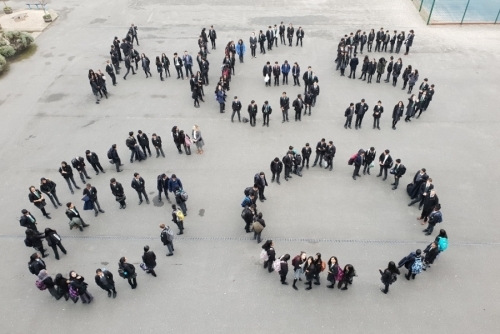 The school community are celebrating 60 years of the school on the site. A Huge WELL DONE to year 7 for collecting a total of £111.27. 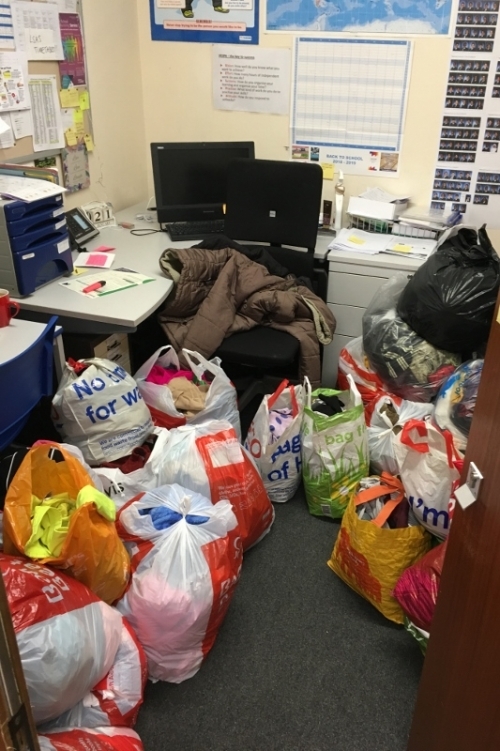 The money collected will be used to buy ingredients for Mrs Lyons to make soup and other dishes that will be donated to ‘Slough Outreach Reach’, who feed the homeless. Year 8 pupils are collecting 60 items of food for a local food bank. 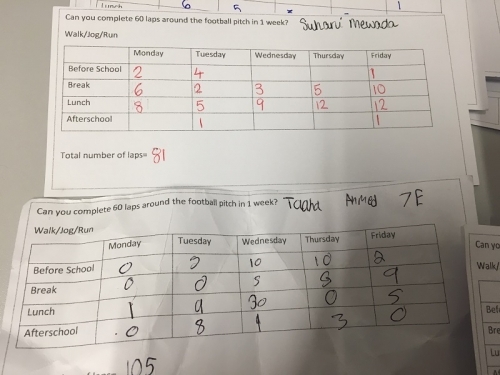 Lots of Year 7 pupils decided to keep fit by running 60 laps of the school field over the course of a week. Well done to all of them. 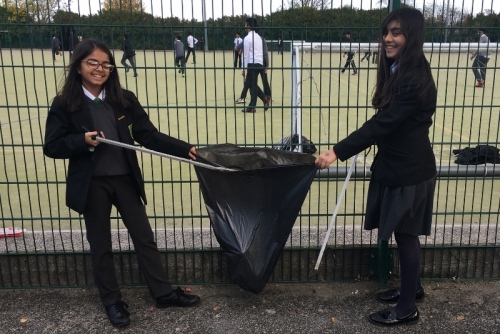 Groups of community spirited Year 7 pupils decided to ensure the site was clear of litter and collected 60 items of litter per bag. The smiles on their faces are testament to the satisfaction they experienced of doing something for their school community. Thank you to everyone who helped. Success in a logistical challenge for year 8. Welcome to Herschel Grammar School. It has amazing facilities such as the sports hall, computer rooms and even a library. Lessons are very enjoyable, and the staff are amazing. Herschel puts on amazing school trips at the end of each year. In Year 7 you go to Bushcraft and in Year 8 you go to Paris – can you believe that?! 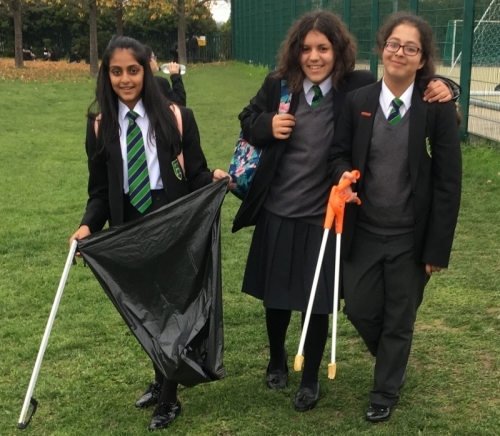 At Herschel we do a range of different sports in P.E such as tennis, badminton, football, cricket, gymnastics and many more as well as a lot of fun after school clubs and lunch clubs. You can even start your very own club! You can step up to be a sports captain to be more involved in sports around the school. During PE in Herschel we learn different kind of sports from shooting in netball to doing a handstand in gymnastics. This way we always end up doing a sport we enjoy and have fun. We also learn new skills e.g how to drill in product or how to sew in textiles. I really enjoy learning and doing activities at Herschel! Herschel has a buzzing atmosphere. This is a place where hundreds of pupils ace their exams in school and in life. Children here have a passion to learn and develop their knowledge. The teachers are also a huge part of their success. The teaching team is always kind, friendly and willing to assist students in every step of the way. Herschel has a lot to thank for the amazing computing equipment – both software and hardware. It is one of Herschel’s specialist subjects. In Year 7, you might not yet get on to coding on python (Herschel’s main computing language) just yet, but in Year 8 and above, you’ll learn not only to do it, but also to love Computing Technology. At Herschel Grammar School we are provided with many technology facilities such as our own school emails, regular CT lessons and believe it or not we use iPads in lessons too! Emails are a very helpful way to contact teachers and even catch up on lessons through PowerPoints like you were always there and you don’t miss out on anything. Herschel is a school that is multicultural and diverse. The school gives you countless opportunities, where you can study better, develop new friendships or even acquire the skills needed for life outside of school. It’s also a very good environment to be in that makes people happy and encourages one another. Herschel students are like a family that feels protected. 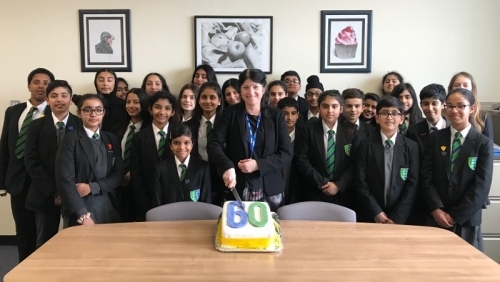 Chosen for their contribution to a number of activities arranged to celebrate the school’s 60th anniversary, some year 7 and 8 pupils were invited to share a celebratory cake with Ms Rockall. 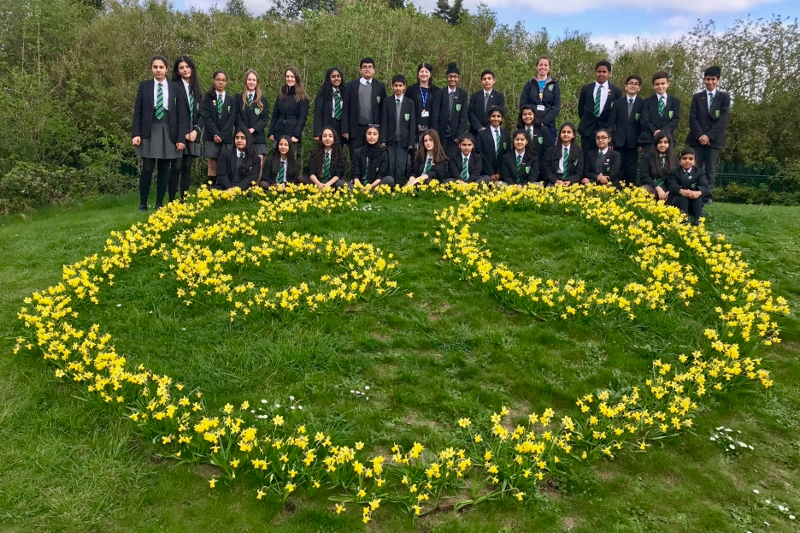 Site staff had made a daffodil display to contribute to the anniversary, enjoyed by staff and pupils.